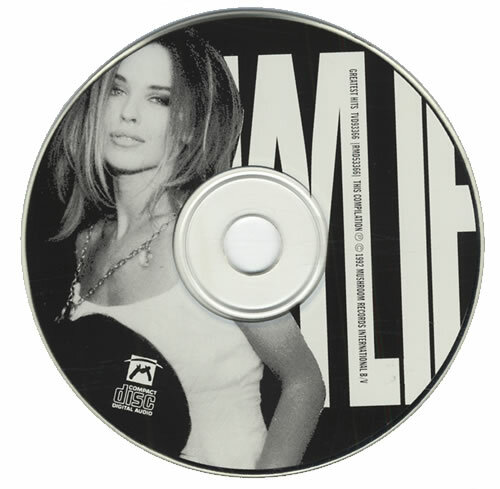 KYLIE Greatest Hits (Scarce Original 1992 Australian Mushroom label 22-track CD album [with the Black & White picture disc], featuring a collection of Kylie's early hits including I Should Be So Lucky, The Loco-motion, Especially For You, HandOn Your Heart, Tears On My Pillow, Better The Devil You Know and more, complete with the fold-out picture sleeve inlay TVD93366). 14. What Do I Have To Do? 21. Where In The World?